New Michael Jackson 2016 Calendar! It’s time for a new official Michael Jackson 2016 calendar! Featuring 14 images from Michael’s legendary career, the new calendar is available for pre-order now. The calendar cover features Michael’s image from Invincible, available in the same 5 colors. 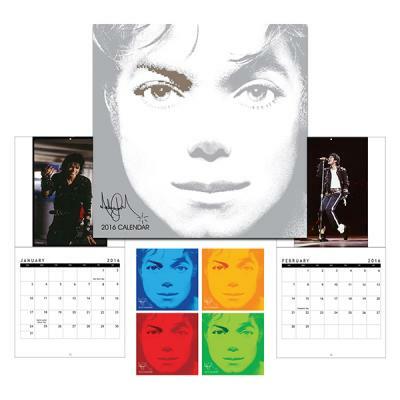 Order the calendar in your favorite color and enjoy an iconic photo of Michael every month. The new calendar is your first look at what’s to come from the Michael Jackson Official Store, which is coming under new management. Look out for other new products, and a new look to the store, coming soon! Pre-order the new Michael Jackson 2016 calendar now!